Last time we featured builder Wesley, he took us to the smoky skies above the trenches of WWI with a magnificent trio of early aircraft. 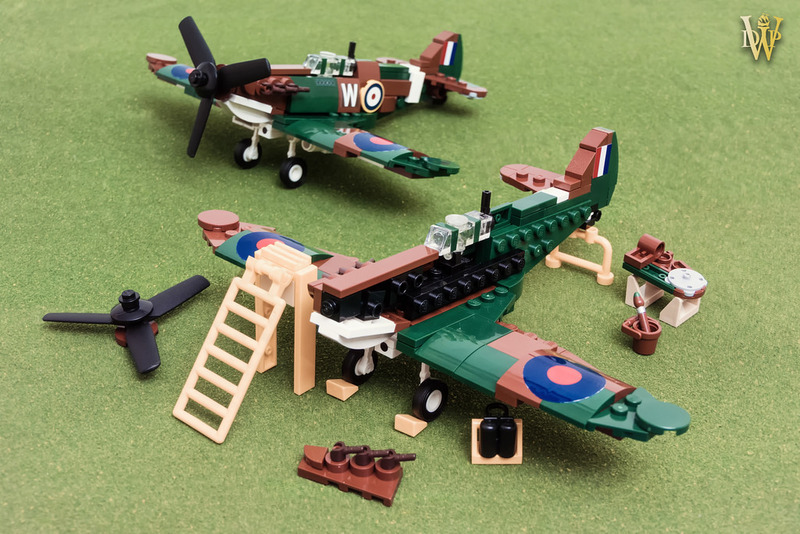 This time he’s set the clock forward a few decades to the Battle of Britain with this gorgeous Supermarine Spitfire Mk.II, created in a nifty scale that’s slightly smaller than minifigure scale. He’s taken off a few of the panels to show the plane in service, which also acts as an added bonus in showing us how it’s built.